A large watercolour on paper by one of Scotland’s most famous watercolour artists of the 19th century, James Whitelaw Hamilton. 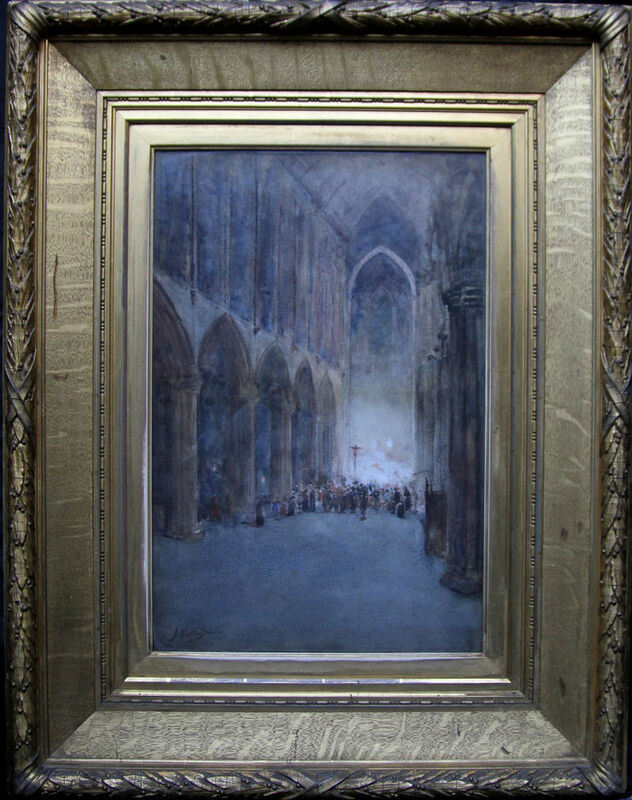 Similar in style to Arthur Melville and Joseph Crawhill, it depicts Glasgow Cathedral in a light airy palette. In remarkable untouched condition housed in its original gilded oak frame. This is a fine example of a 19th century Scottish painting with good subject. The colouring is fresh and particularly appealing. It should be in the National Gallery of Scotland - it is that good! Signed lower left and has its original label verso. Original 19th century frame 28 inches by 21 inches. Excellent condition. James Whitelaw Hamilton (1860-1932) RSA, RSW - was a Scottish artist, member of the Glasgow School, of the Royal Scottish Academy (RSA) and of the New English Art Club. He was born in Glasgow, where he studied before moving to Paris, where he became a pupil of Aimé Morot and of Pascal Dagnan-Bouveret. Returning to Scotland in 1884, he spent time at Cocksburnpath with other future Glasgow Boys James Guthrie, Joseph Crawhall and Arthur Melville. In 1887 he was elected a member of the New English Art club, exhibiting at their annual exhibitions in London. He also showed regularly with the Glasgow Institute of the Fine Arts, of which he was honorary secretary for many years. He became an associate of the RSA in 1911, and a full academician in 1922. 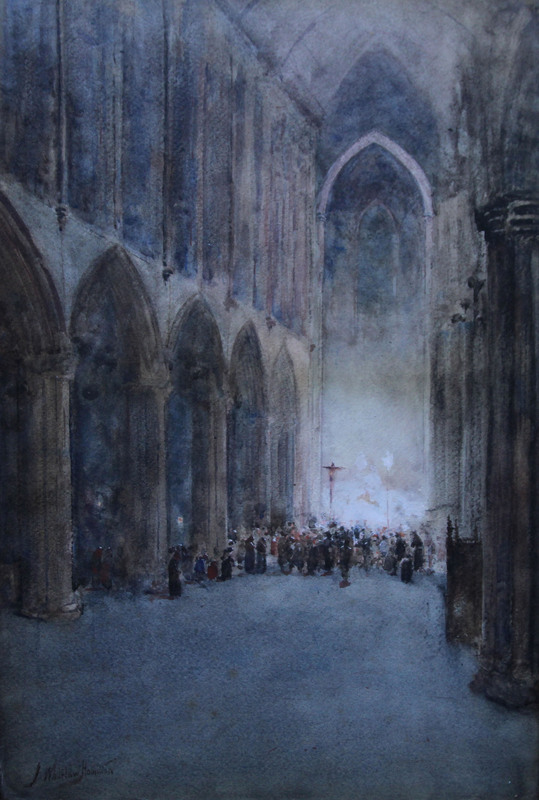 He was also a member of the Royal Scottish Society of Painters in Watercolour (RSW). In 1897 he won a gold medal at the Munich International Exhibition, which led to several overseas commissions, including one from Victor Emmanuel III of Italy, who appointed him a Cavaliere of the Order of the Crown of Italy in 1901. Whitelaw Hamilton's work was shown in the British Pavilion at the Venice Biennale at all eight biennales between 1897 and 1910. In 1897, 1899 and 1901 he was part of the Scottish artists' section of the exhibition.